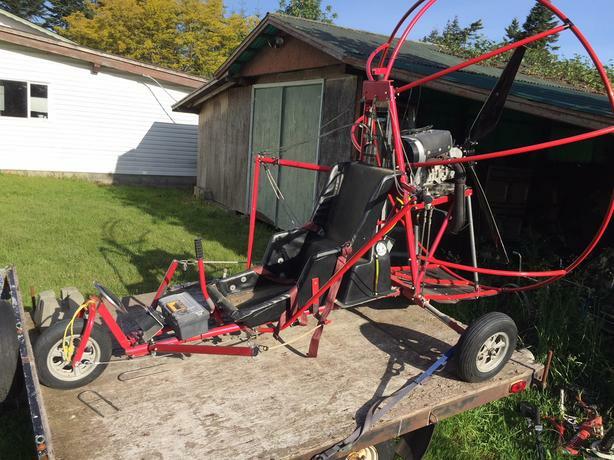 This is a production Powered Parachute unit with seating for two people. Unit has been well cared for and stored. Comes with the trailer to transport. Available for viewing, can be started and basic ground display, no test pilots. Yes it's loud and smokey and scary! Flies like a dream, you can power up high and then shut the engine off and glide. Designed to restart mid flight again. You should look into learning how to fly them. These units are absolutely amazing to operate and easy way to introduce yourself to safe flight. The price is firm, please don't message me unless you have the money to buy it.